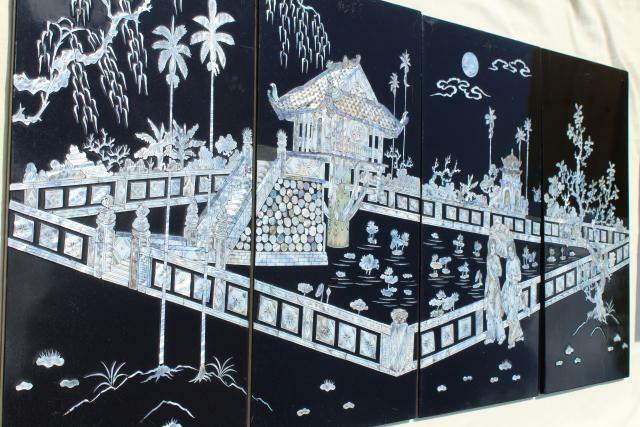 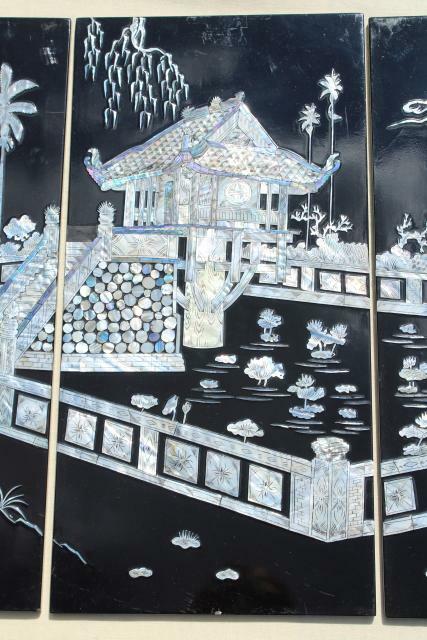 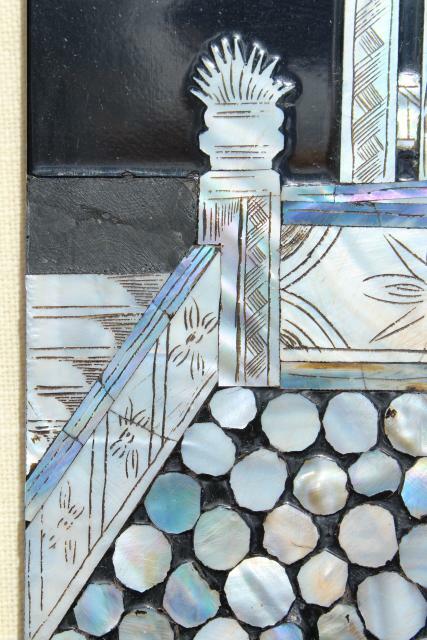 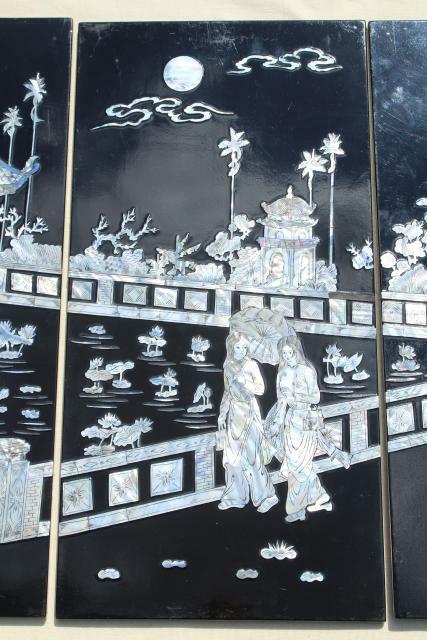 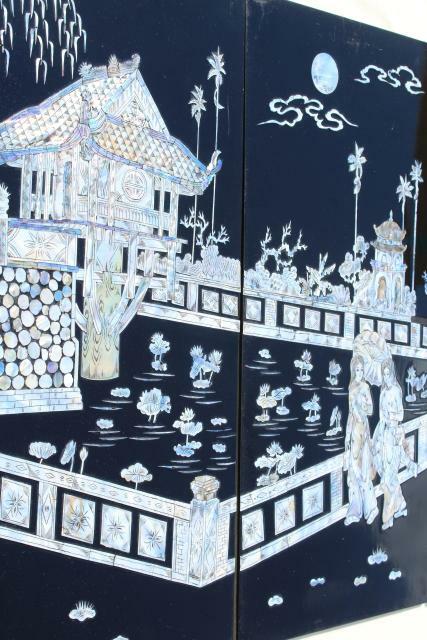 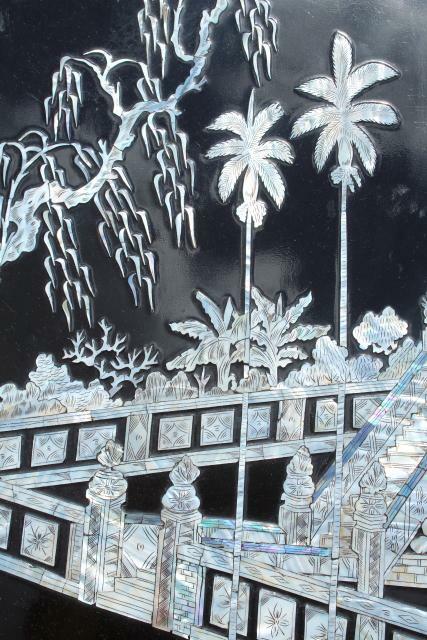 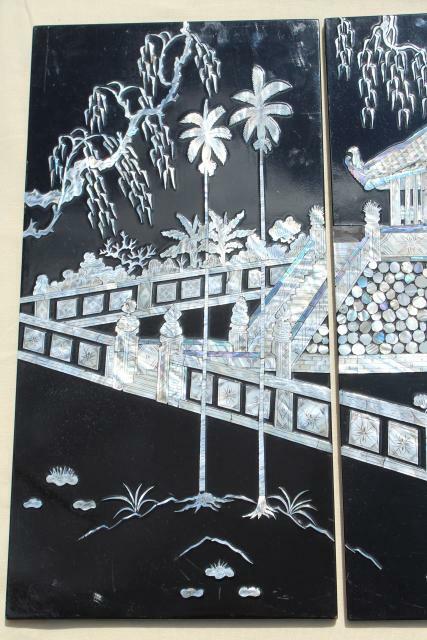 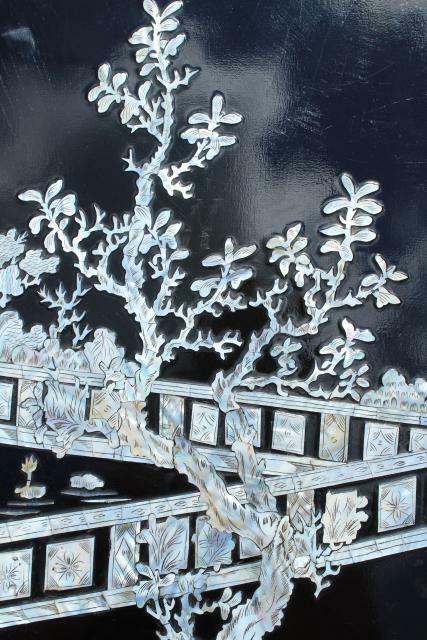 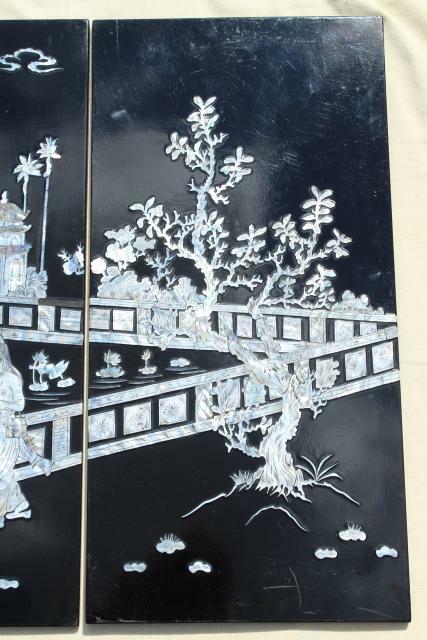 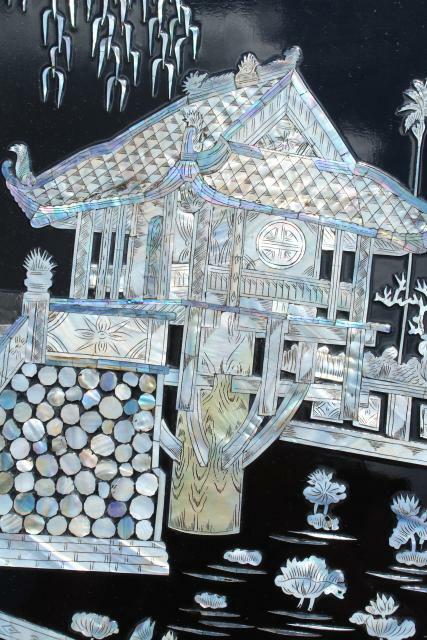 Mid-20th century vintage lacquered wood wall panels with carved mother of pearl shell inlay design, scenes of old China? 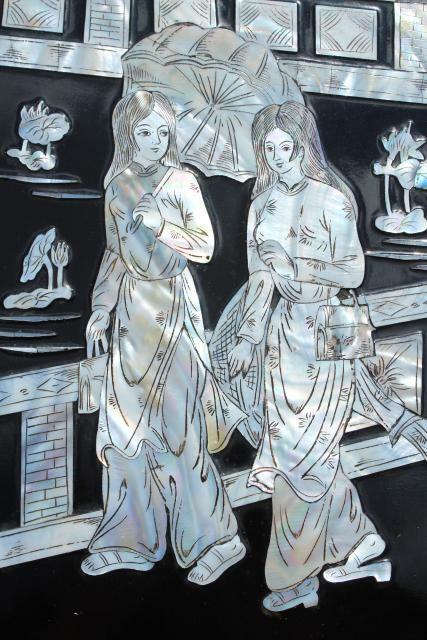 These have a lovely old chinoiserie look. 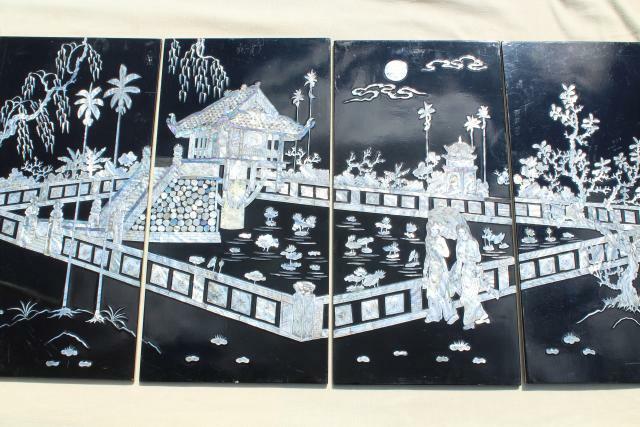 It's a set of four panels, each 23 1/2" x 11 1/2". 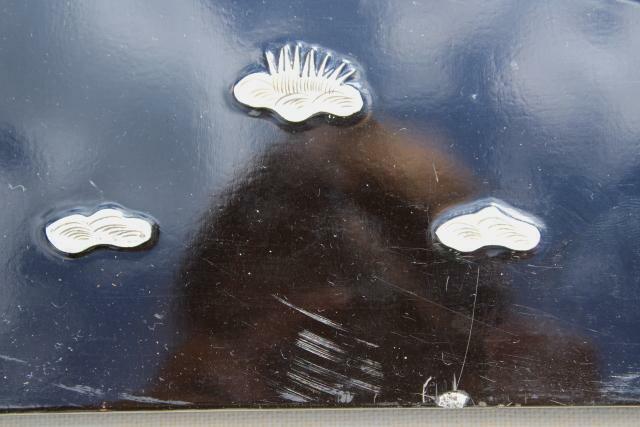 All have a little light scuffing, light general wear, a few small chips - no major damage or flaws.